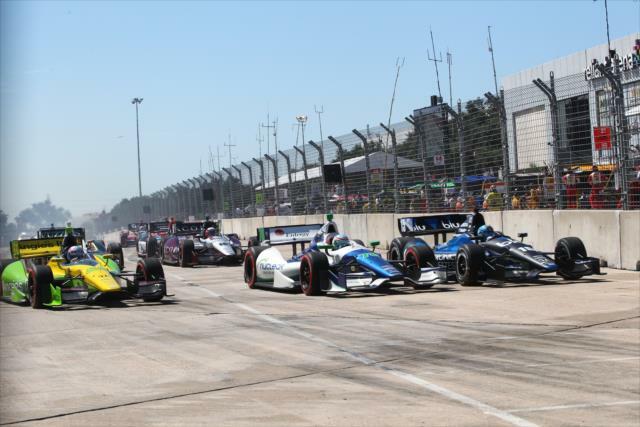 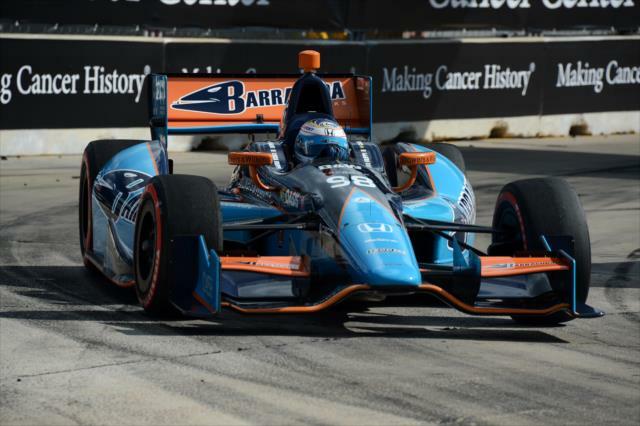 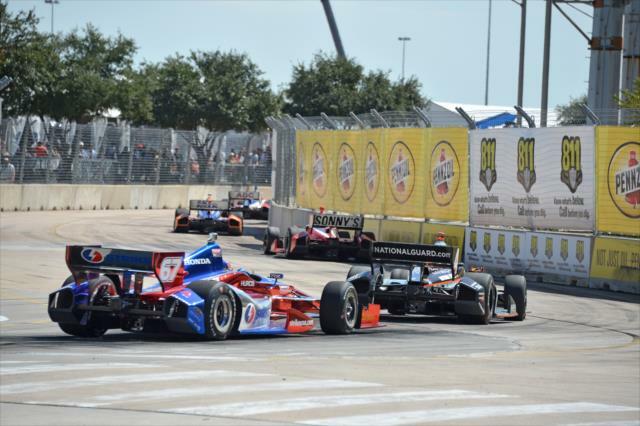 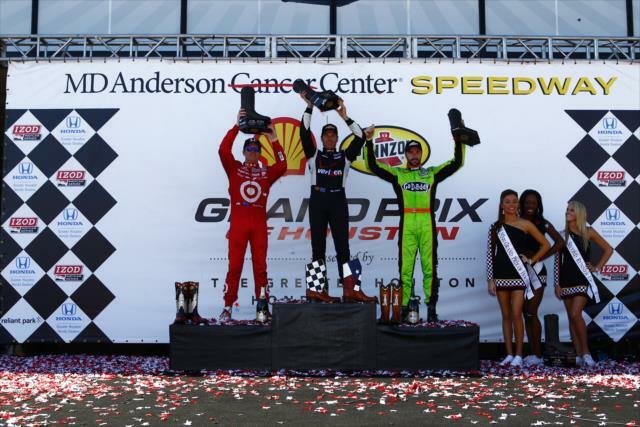 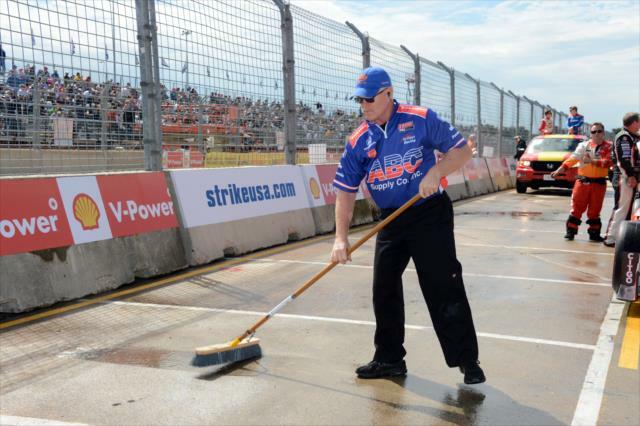 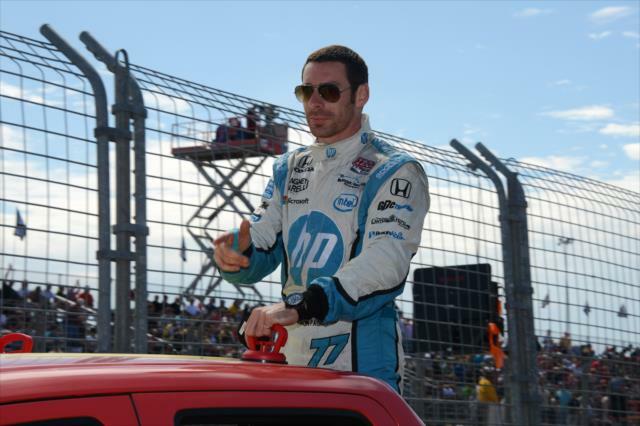 HOUSTON -- Scott Dixon took advantage of Helio Castroneves' lost weekend in the back yard of the Houston Texans to slide into the driver's seat of the IZOD IndyCar Series championship chase. 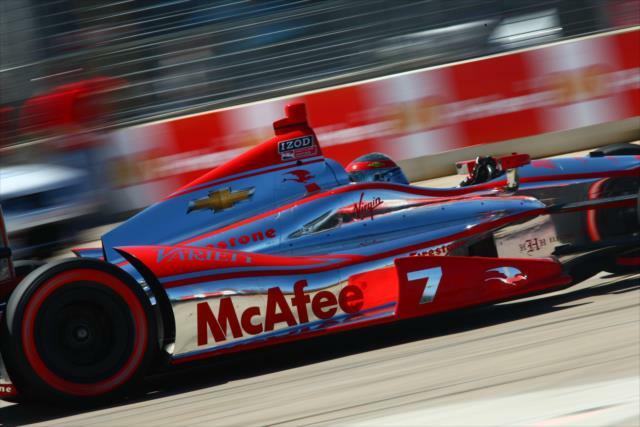 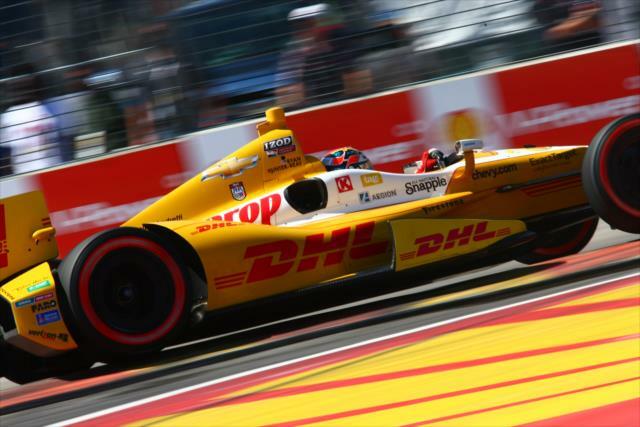 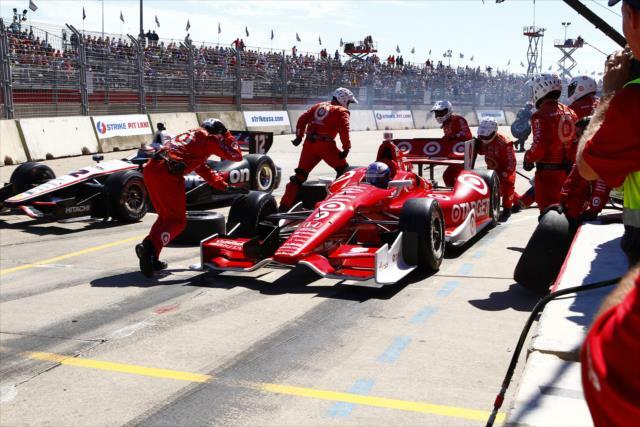 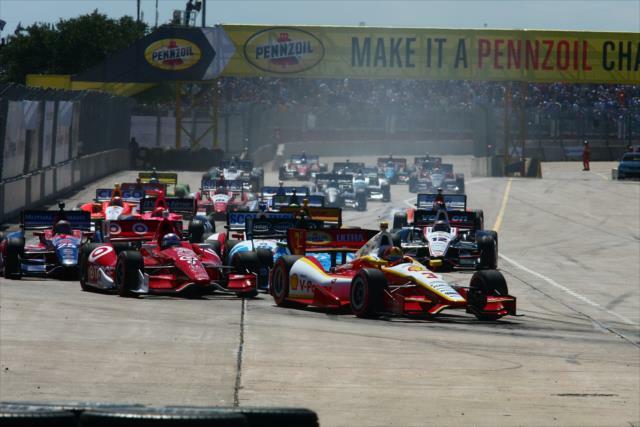 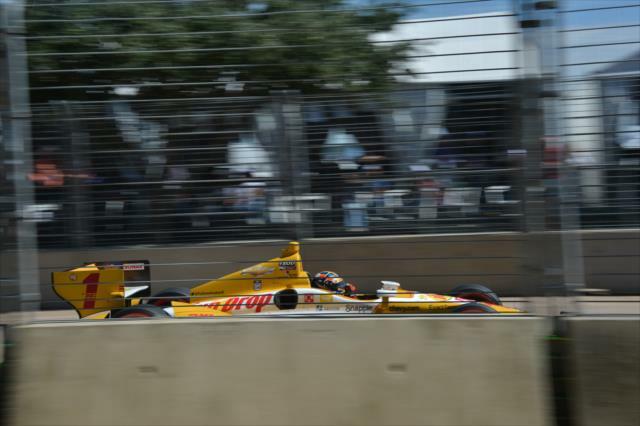 Dixon won Race 1 of the Shell and Pennzoil Grand Prix of Houston on Oct. 5 and was runner-up to Will Power in Race 2 to take a 25-point lead heading into the MAVTV 500 INDYCAR World Championships on Oct. 19 at the 2-mile Auto Club Speedway oval in Fontana, Calif. 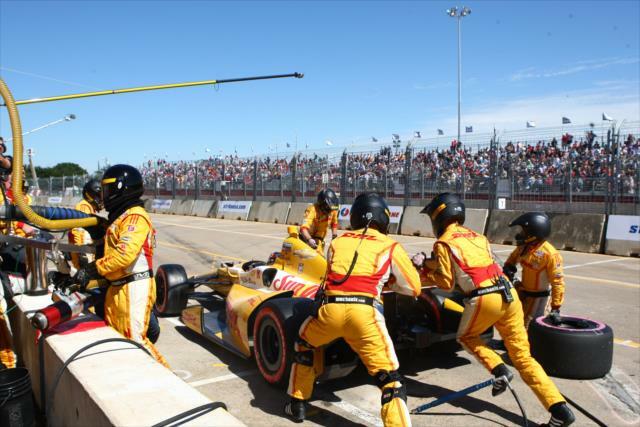 It will mark the eighth consecutive year that the series title will be decided in the finale. 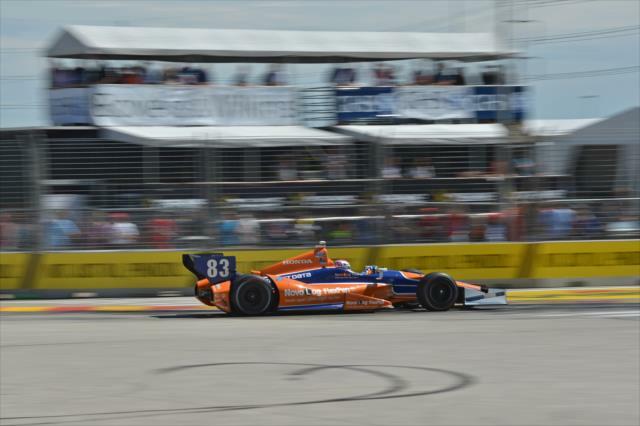 Power overtook Dixon's No. 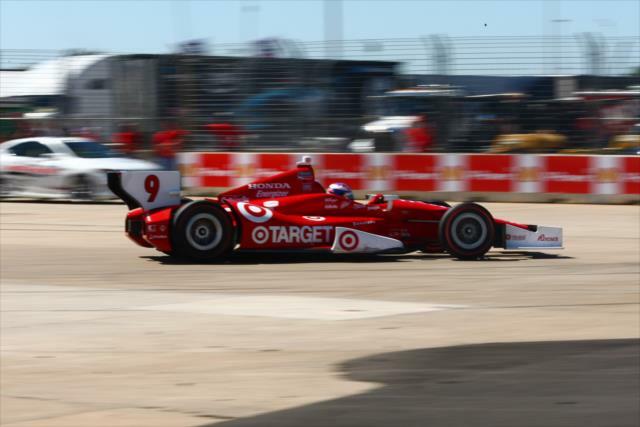 9 Target Chip Ganassi Racing car in Turn 3 of a Lap 40 restart and held on for his second victory of the season (20th of his Indy car career) as the yellow flag flew behind them on the final lap for heavy contact involving Dario Franchitti, Takuma Sato and E.J. 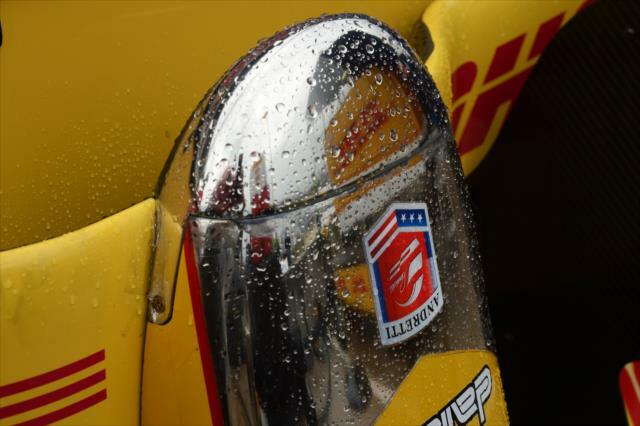 Viso. 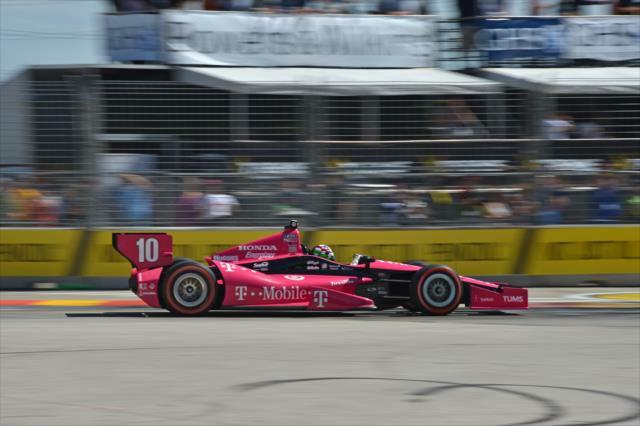 Franchitti, a four-time series champion and three-time Indianapolis 500 winner, was admitted awake and alert to Memorial Hermann Texas Medical Center for a concussion, spinal fracture that will not require surgery and a fracture to the right ankle. 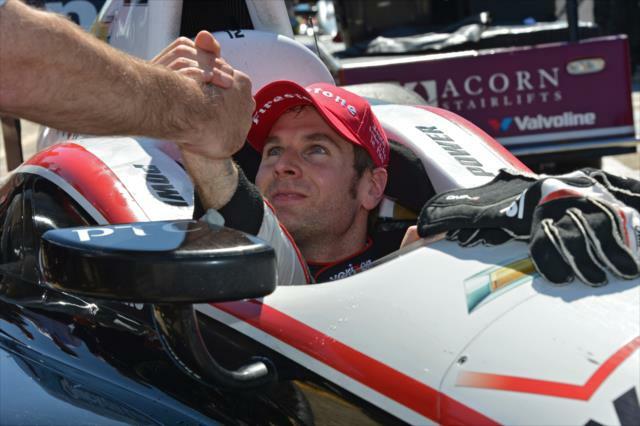 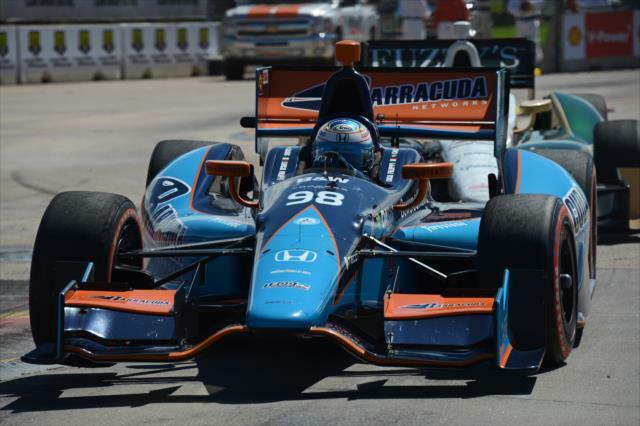 He was kept overnight, according to INDYCAR medical director Dr. Michael Olinger. 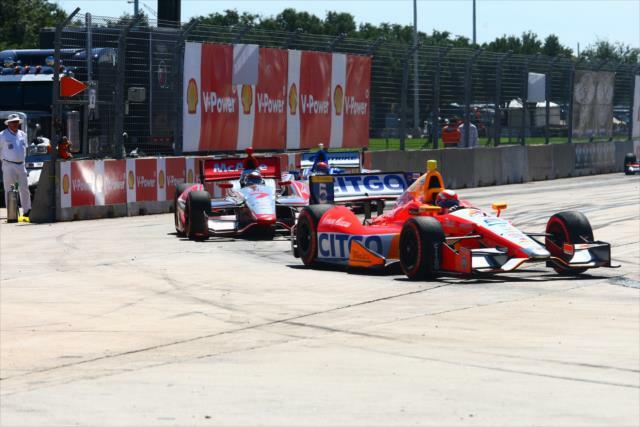 Sato and Viso were evaluated at the scene and released. 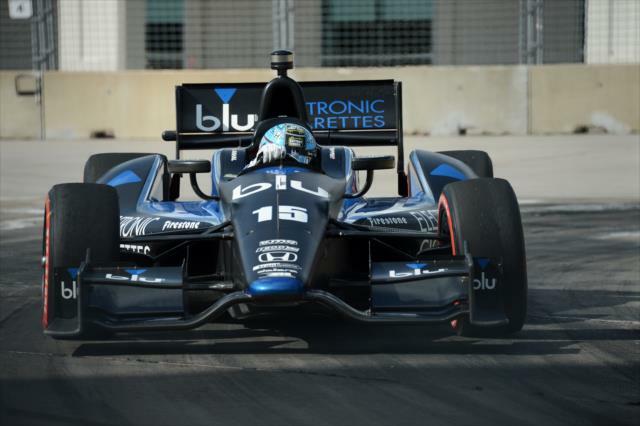 "On the last lap I caught the marbles and brushed the wall and lost momentum," said Sato, the pole sitter for Race 1 in the No. 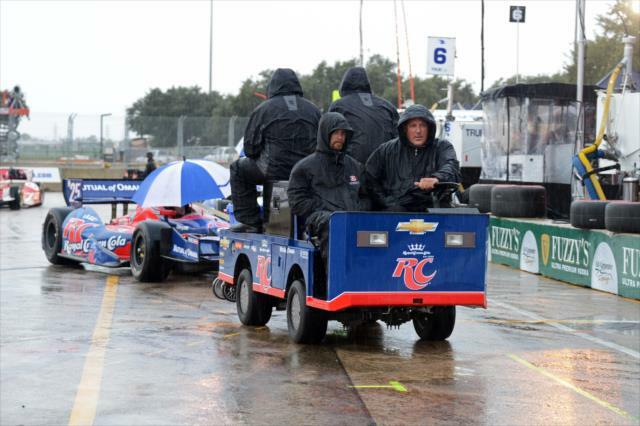 14 ABC Supply car for A.J. 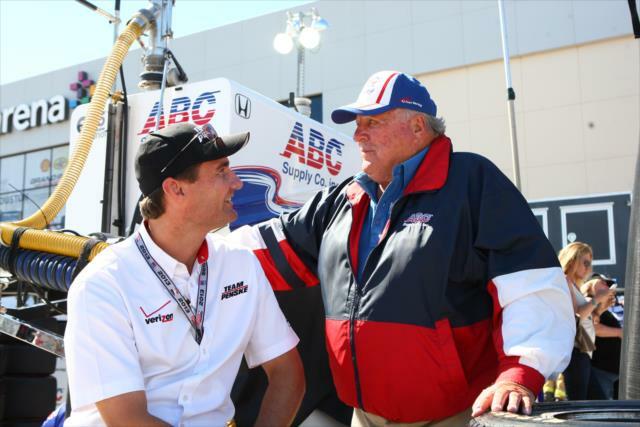 Foyt Racing. 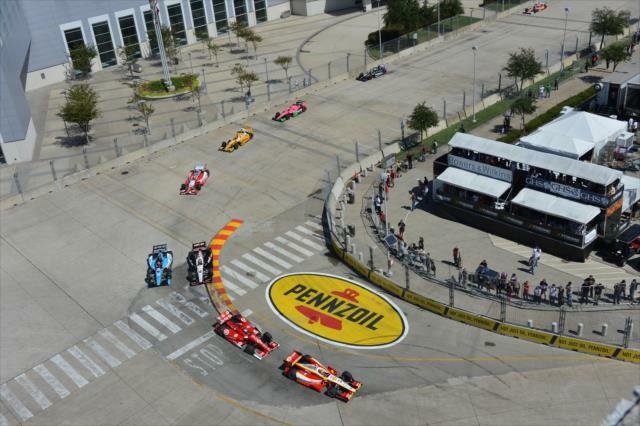 "A couple cars passed me as I was offline and in Turn 5. 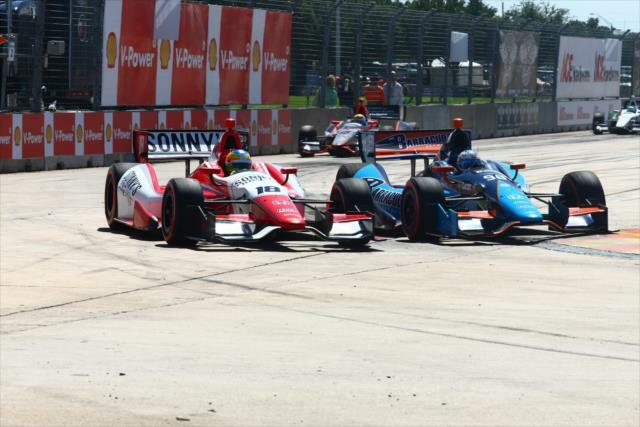 I got very loose and Dario and I came together. 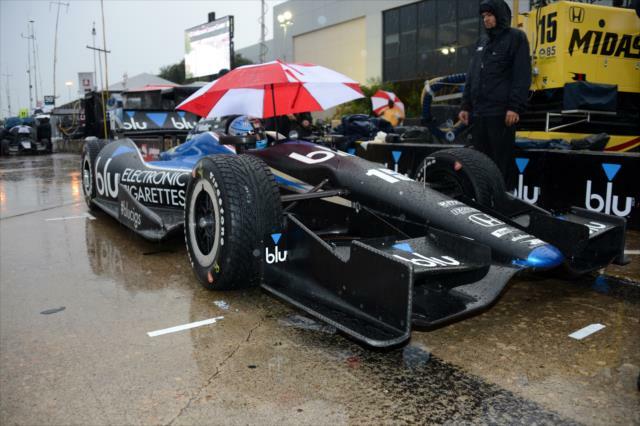 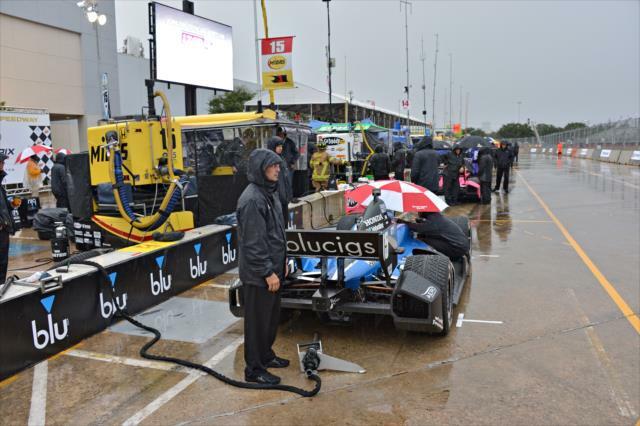 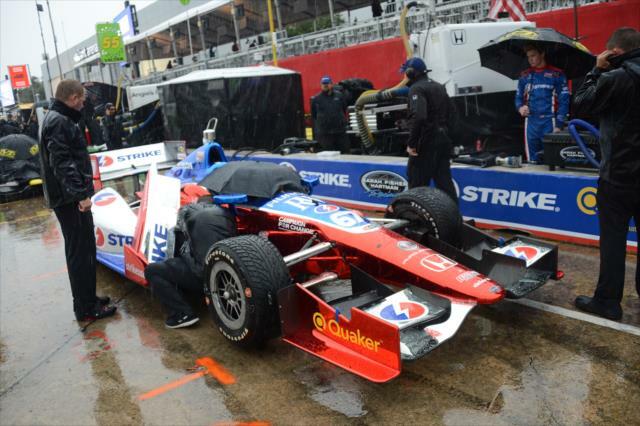 Hopefully Dario is OK."
Dixon started next to Castroneves on Row 1 for the standing start as the starting grid was set by entrant points after a rainstorm washed out the morning 30-minute qualifying session. 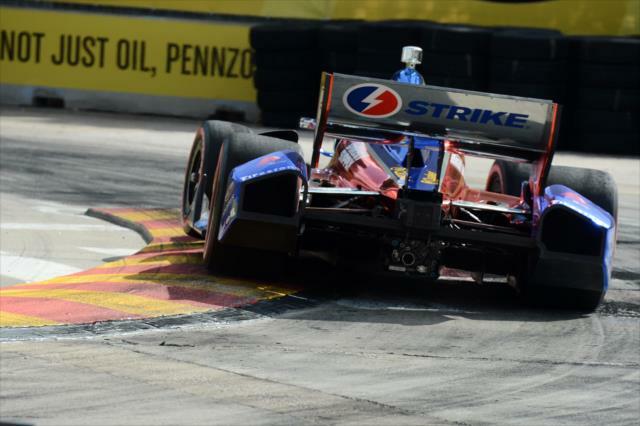 "Another win would have been nice," Dixon said, "but a decent weekend and a good turnaround for us in terms of points. 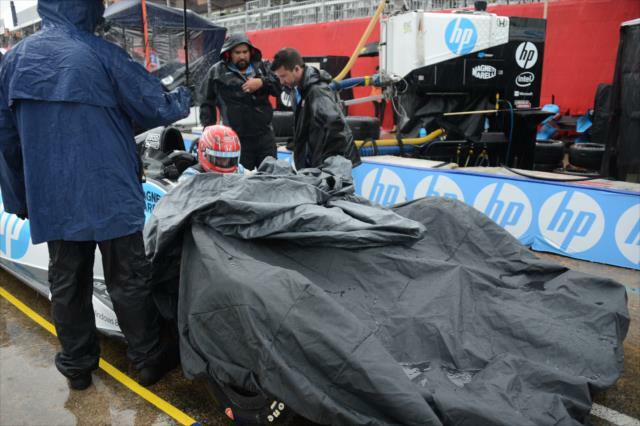 It's still going to be a tough weekend at Fontana. 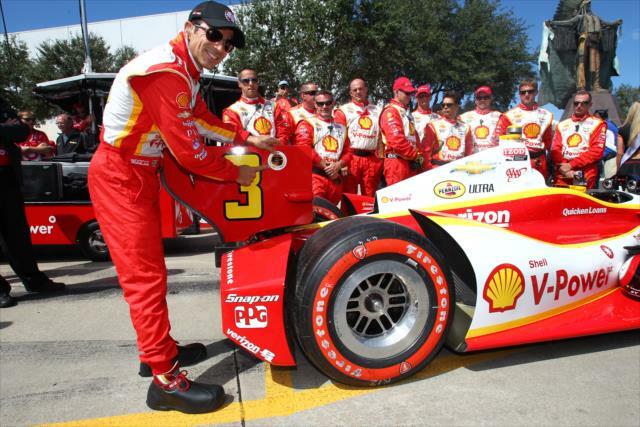 Twenty-five points, it can go anybody's way." 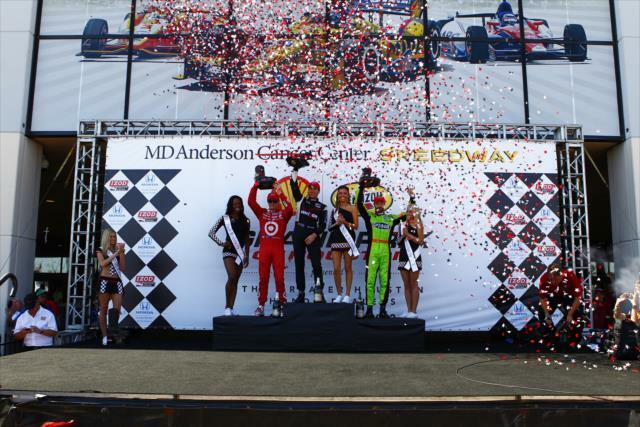 Dixon needs to finish fifth or better, no matter what Castroneves does, to clinch his third series title. 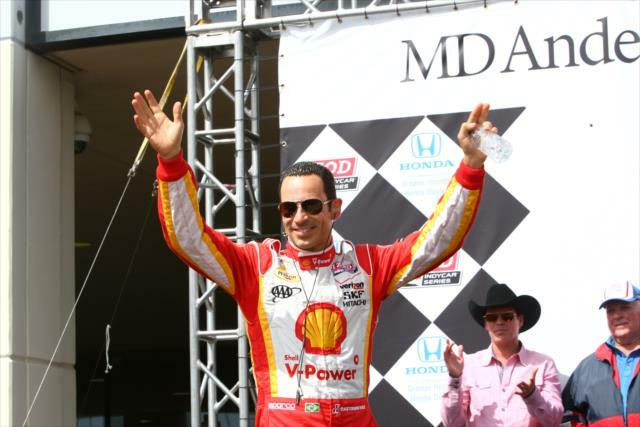 Castroneves entered the third doubleheader of the season with a 49-point advantage. 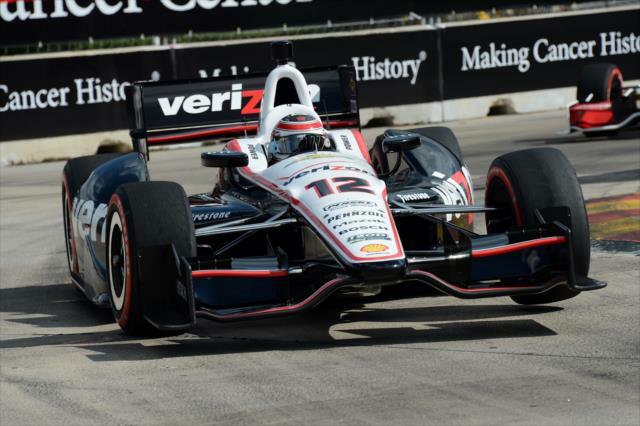 After qualifying a season-low 21st and finishing 18th in Race 1, combined with Dixon's victory, Castroneves' lead was sliced to eight. 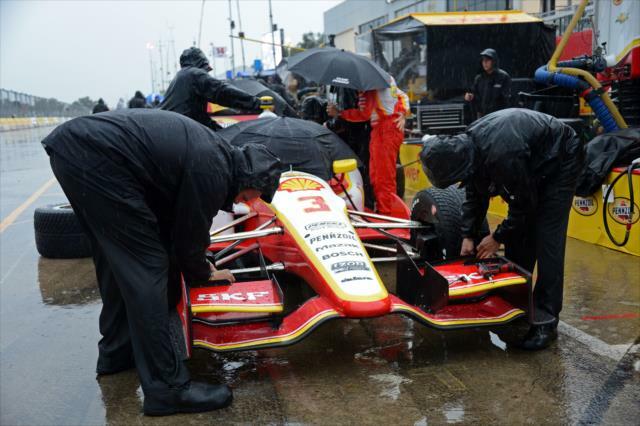 A shifter issue early in Race 1 required repairs on pit lane that dropped Castroneves nine laps down. 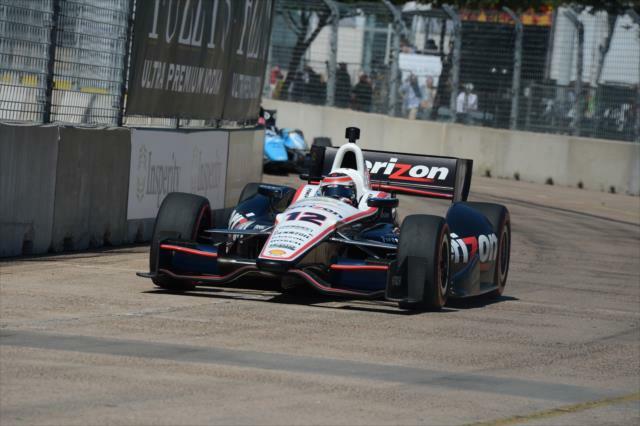 In Race 2, a broken gearbox housing left Castroneves' No. 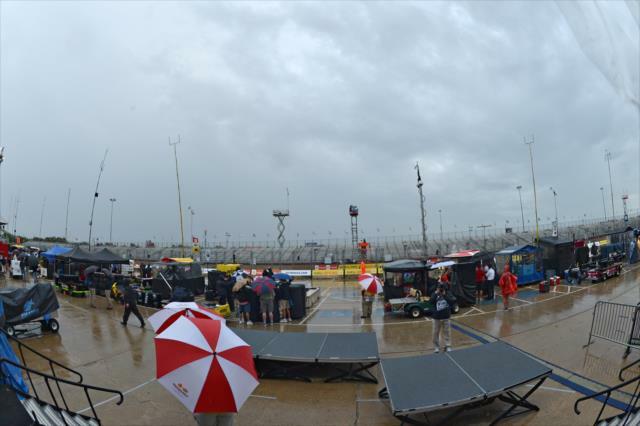 3 entry stranded in Turn 6 of the 1.634-mile, 10-turn circuit. 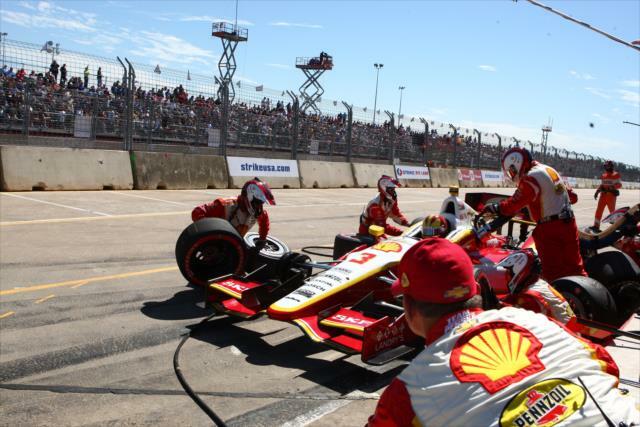 The crew returned the car to its temporary garage area to replace the gearbox and rear suspension, and Castroneves rejoined the race on Lap 47 (36 laps down to race leader Power) and finished 23rd. 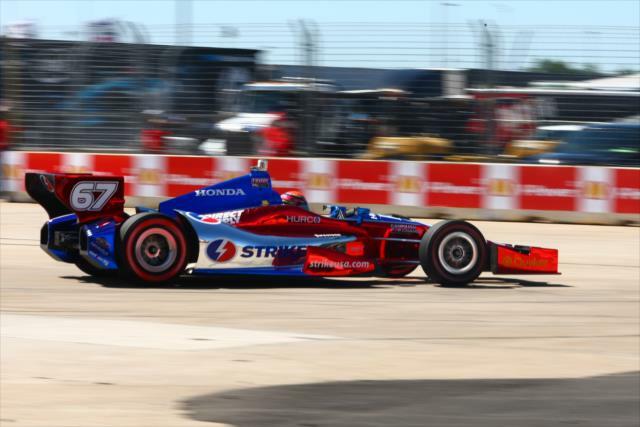 "When I went to third gear on the backstraight, there was absolutely nothing," said Castroneves, who had a streak of 12 consecutive top-10 finishes end in Race 1. 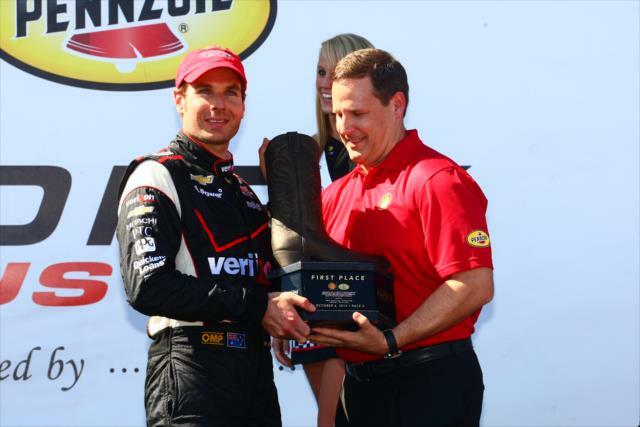 "We’ve had great luck for most of the season. 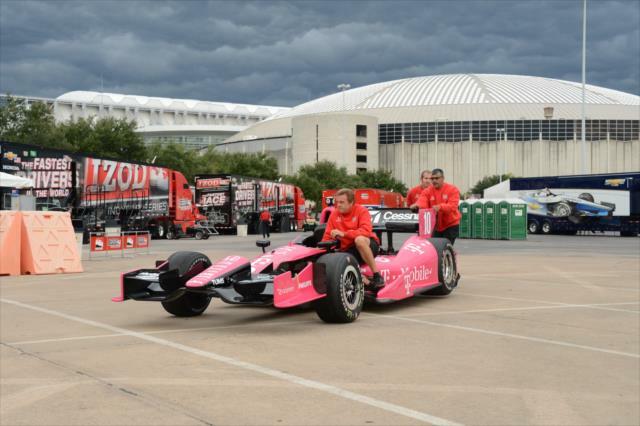 Now, in a weekend, everybody’s dream has become an interesting scenario. 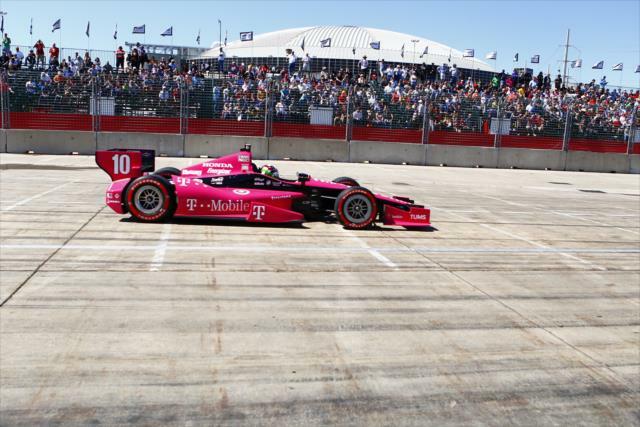 "I will tell you one thing, this team is a testament to never giving up and I have faith in these guys that they are going to do everything they can to make it happen in Fontana. 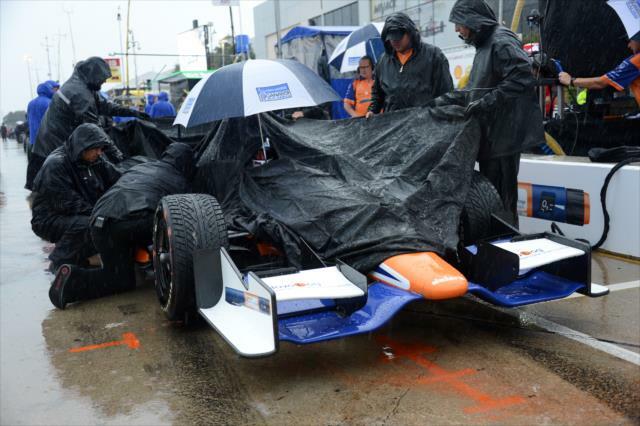 It's disappointing; I have no idea why in two races we have gearbox problems. 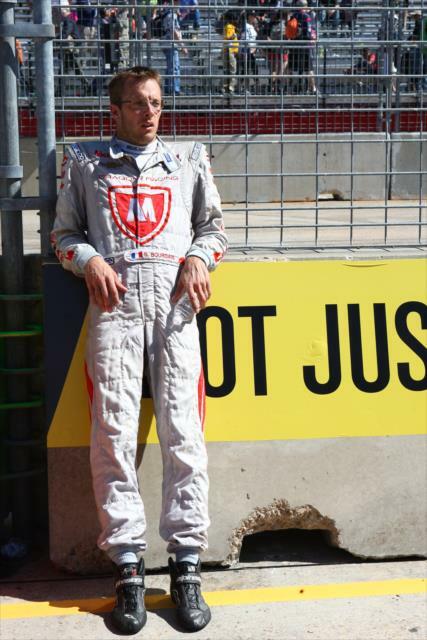 There's nothing we can do; those things happen. 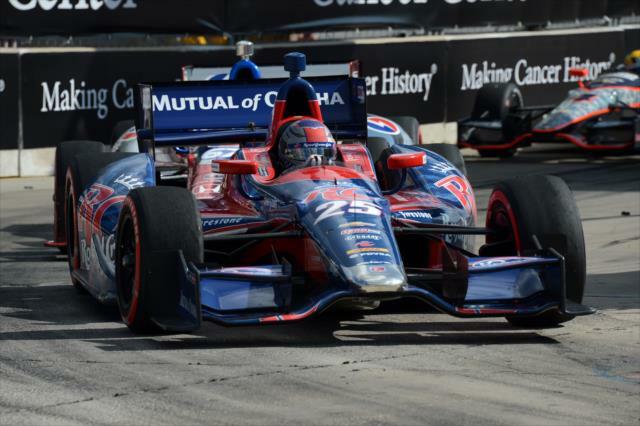 We know we have a good car going into the last race." 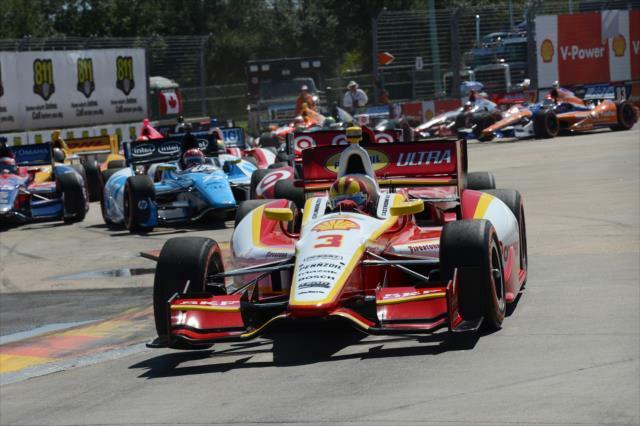 Castroneves was among 23 drivers who tested at the venue Sept. 24 in preparation for the 200-lap twilight race. 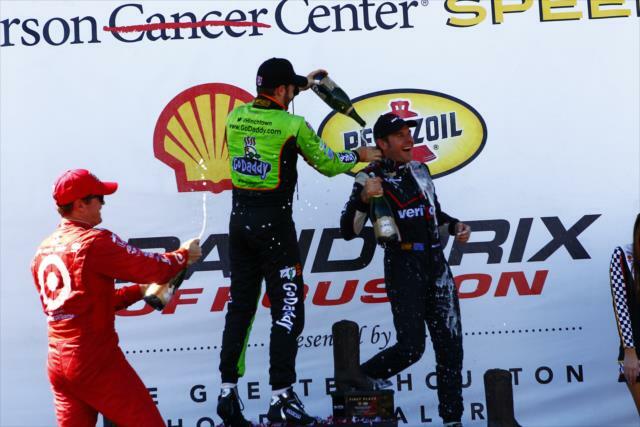 In 2008, Castroneves trailed Dixon by 30 points entering the finale at Chicagoland Speedway. 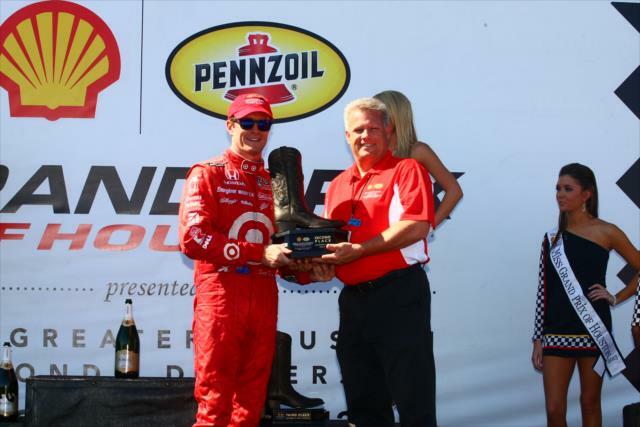 He won the race by .0033 of a second -- the second-closest race in IndyCar Series history -- over Dixon, who earned the title by 17 points. 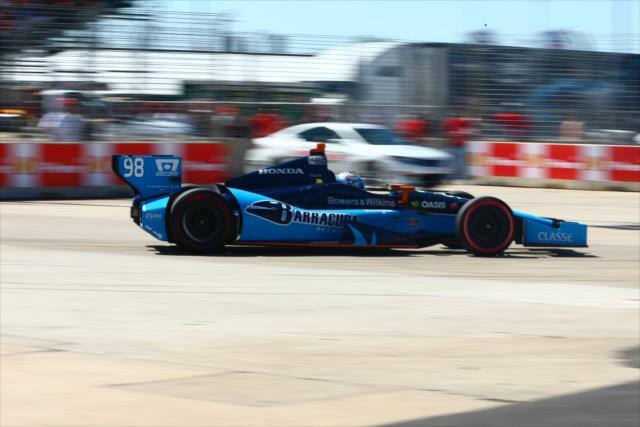 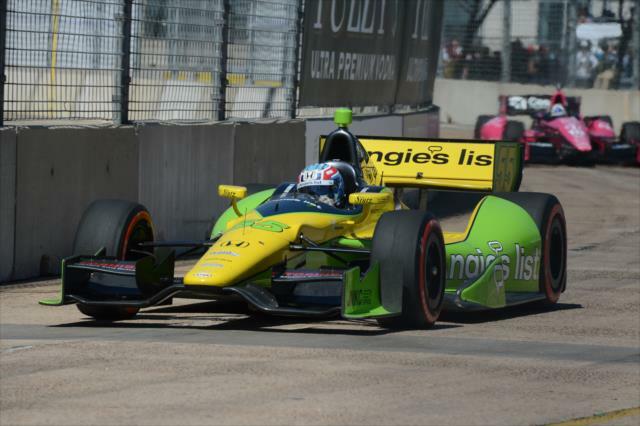 James Hinchcliffe finished third for his first podium since Iowa in June and Justin Wilson followed up on his fourth podium of the season with a fourth-place finish. 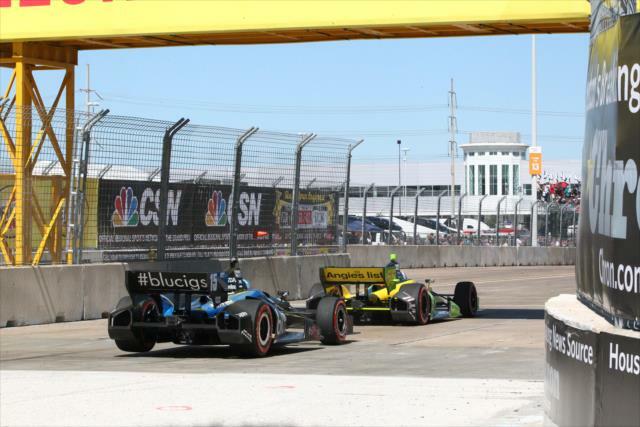 Sebastien Bourdais advanced from the 13th starting position to finish fifth. 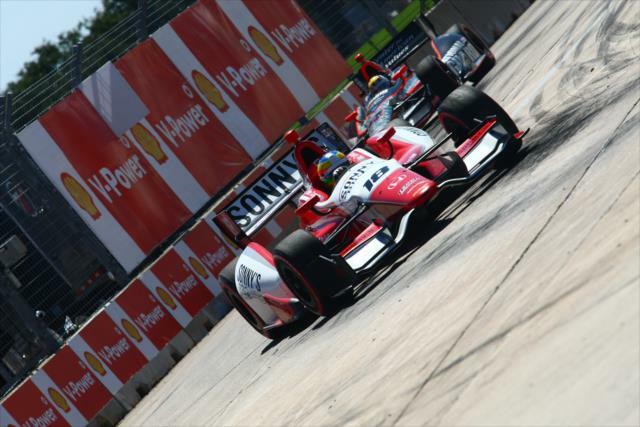 Oriol Servia gained the most positions, climbing from 21st to finish seventh in the No. 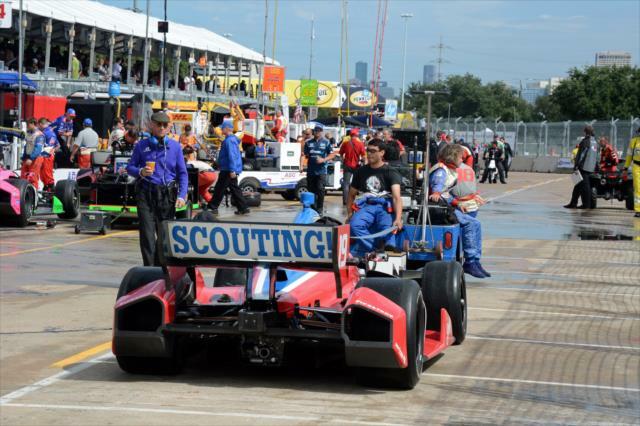 4 National Guard Panther Racing car. 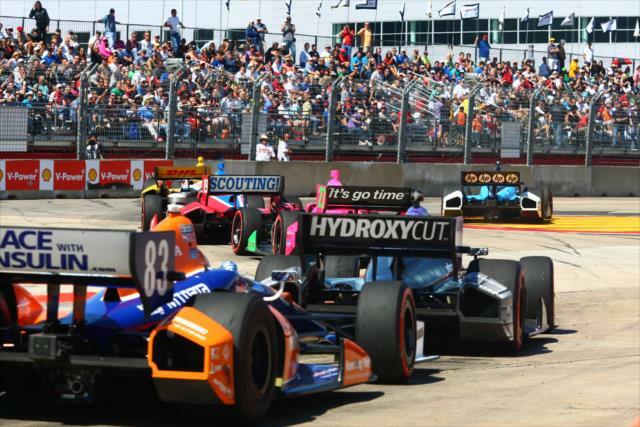 “We were hoping to be in a position to fight for a win, but Scott and Will, they just took it to another level today," said Wilson, who moved into fourth in the standings. 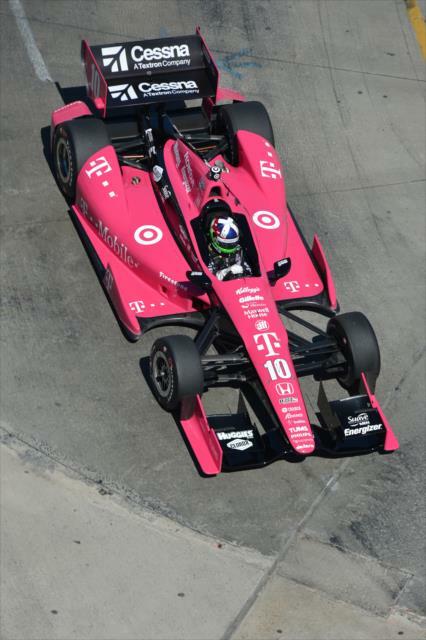 "I was pushing James (Hinchcliffe) the entire way, but he didn’t make any mistakes. 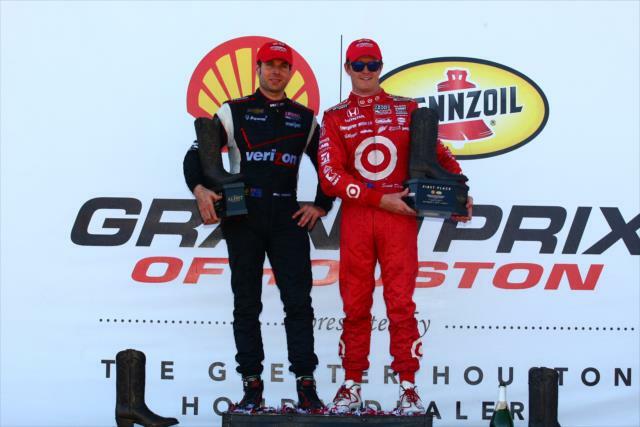 All in all, a great weekend with two top fives." 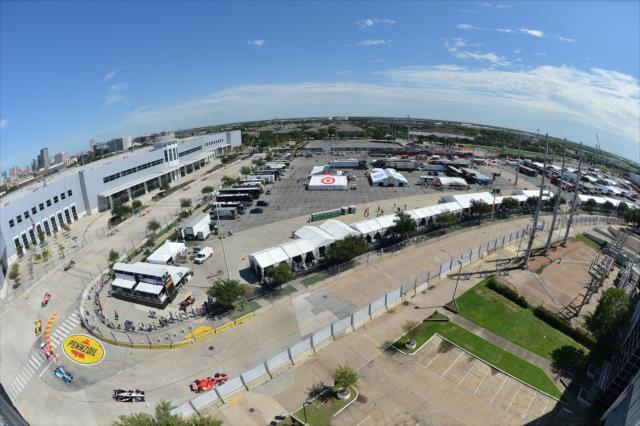 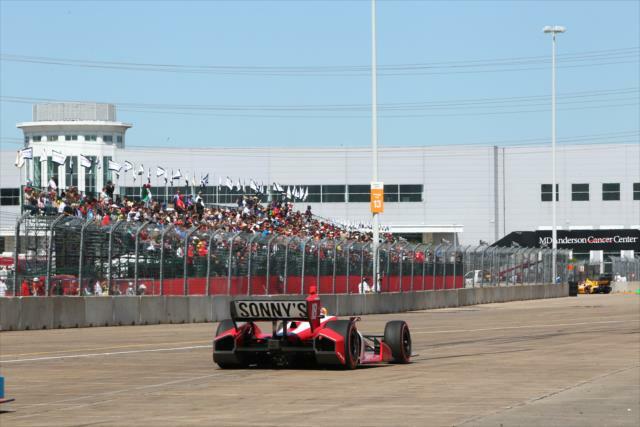 A 1.7-mile, 10-turn street circuit that incorporates Houston landmarks NRG Stadium, the Astrodome and NRG Arena. 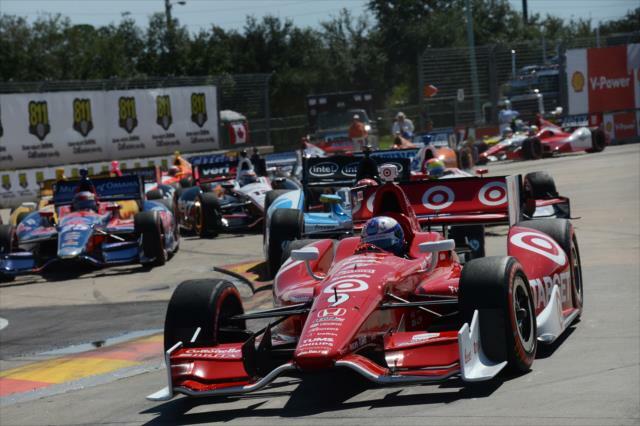 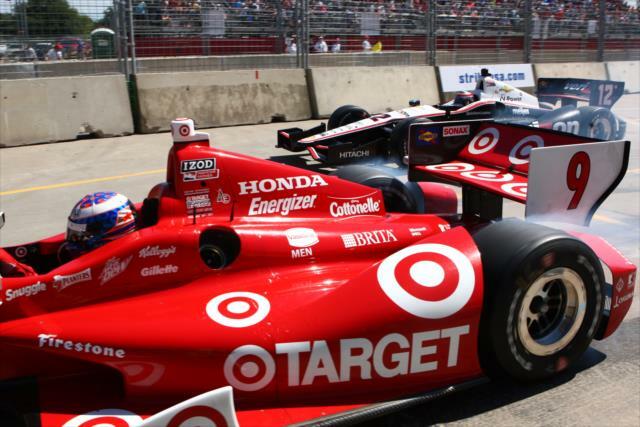 Scott Dixon and Will Power took the wins in the inaugural doubleheader race.